Ahead of tonight's go-home edition of Raw, WWE has confirmed what a few more wrestlers will be doing at Evolution. 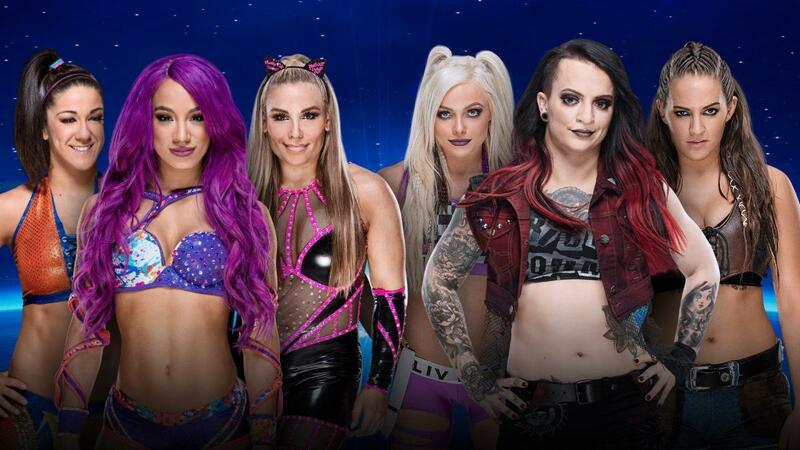 It was announced this afternoon that Sasha Banks, Bayley & Natalya will face The Riott Squad (Ruby Riott, Liv Morgan & Sarah Logan) in a six-woman tag match at the October 28 pay-per-view in Long Island, New York. After being pulled from Mixed Match Challenge due to injury, Banks was back on Raw last week and returned to the ring at this weekend's house shows. Natalya faced Riott on Raw last Monday, with The Riott Squad causing a disqualification when Natalya had Riott in the Sharpshooter and the faces fighting them off after the match.